Writings on the Wall, this personal blog offers a peek into the everyday life of thriller author Kathryn Orzech. Writings on the Wall. Welcome to my new blog. Catchy name, huh? It only took two years to think of it. Writings on the Wall offers a peek into the life of a thriller author—this author—with personal blog posts and photos and whatever captured my interest to distract me from writing. I’m working on several book projects so posts might be brief, but will include photos and graphics. 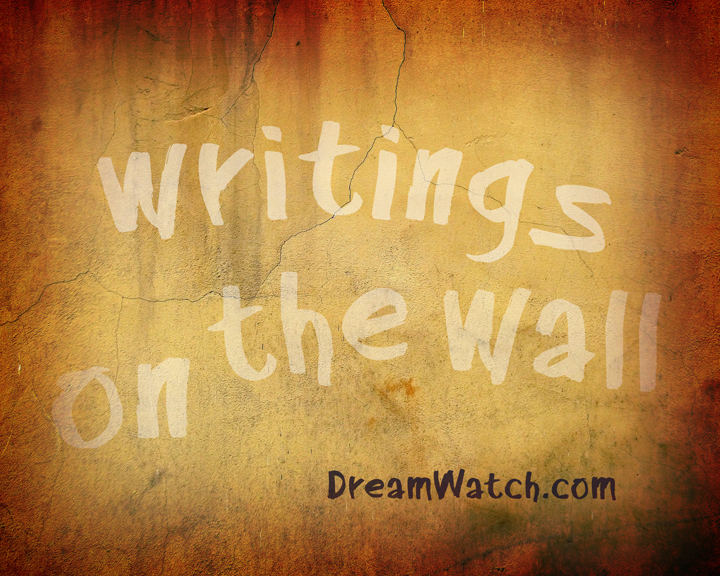 Personal and author posts will no longer mix with supernatural stories on the DreamWatch Paranormal Blog. Though, fair warning—my paranormal experiences might show up here, there, anywhere—same as in real life. Coming soon to Writings on the Wall blog. A bug spotted in the driveway made me wonder. 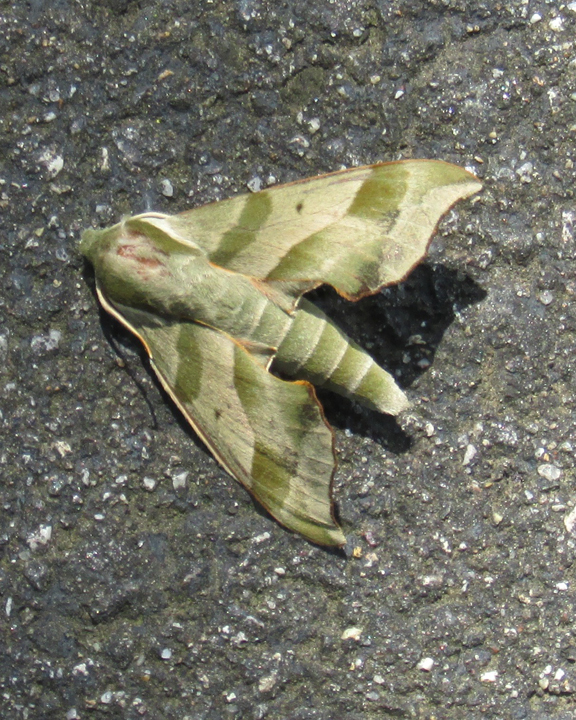 Hmmm… Is it a camouflaged moth? Or a downed spy drone disguised as an insect? Diverse interests. A must in an author’s life. My interests are ever changing, some are compulsive. Here are a few, as I reveal in my author bio: An avid film fan, seasoned world traveler, news nerd. Other interests include history and geopolitics, society and culture, archaeology and psychology, earth science, and parapsychology, leaving few subjects off my literary table—or the subject of a blog post. Count on it. On this Writings on the Wall blog, you’ll see my favorite rocks, ancient reptiles, a reincarnated plant, and a newly installed multi-pronged defensive perimeter to rid my carport of birds. Writings off the Wall and on the pages. Asylum, a dark suspense saga, though published second was my first novel, inspired by a ghost story told at a dinner party mere blocks from the Mark Twain House & Museum. Online since the 1990s, DreamWatch.com, true paranormal experiences of everyday people, was the inspiration for Premonition of Terror. A prequel and sequel are planned. Counting Souls, a contemporary mystery, is my work-in-progress, though progress goes slow. It’s inspiration was my sister who wanted to be a character in one of my books. The Five of Cups will be a short story or novella. Finding this Tarot card on a path in the forest got me to thinking: This must be a sign, but what does it mean? For more about my books and buy links, visit DreamWatch Press on this site.